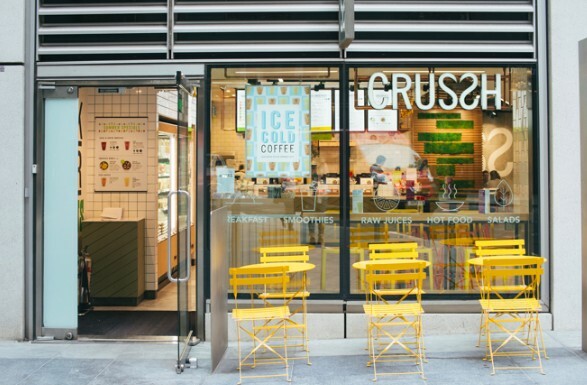 Crussh Fit Food & Juice Bars was founded in 1998, and the chain now has 35 stores across London. The company set out its stall to serve sustainable, nutritious food, and has been working towards a more plant-based range for the last two years from a strong base – its normal range is already 70 per cent vegetarian and 45 per cent vegan. Though Crussh has an extensive vegetarian range, its products don’t include processed meat substitutes; the company decided that instead of mimicking meat products, it would embrace fresh fruit and vegetables and incorporate them into its products as they are. The vegan pop-up store on Broadwick Street in Soho has so far proved popular, with more customers visiting the store than usual. Helen Harrison, head of marketing at Crussh, explains that the decision to go vegan for Veganuary was a fairly obvious one due to customer demand for more vegan products, as well as it being a prominent and growing UK trend. All stores have launched six new vegan products, and the pop-up store has added a few extras to extend the range, including a berry muesli pot with a milk substitute, vegan sushi and a selection of vegan cakes. The smoothies in the vegan store were all adapted by replacing dairy products with a plant-based substitute, which differs depending on the smoothie’s flavour. Products that have proved particularly popular in the vegan store include the berry smoothie, the Thai red vegetable curry hot pot and the desserts, a number of which contain avocado, which successfully creates a thick, creamy texture, giving an indulgent feel to a healthy product. The team at Crussh believes that the vegan store has been welcomed and enjoyed by a range of people, not just those who follow a vegan diet. The range offers dairy-free, healthy food and is the perfect opportunity for those wanting to try vegan food to do so. Due to its success so far, the pop-up store has set up a voting system where customers are able to choose whether they would like the store to remain fully vegan after January. 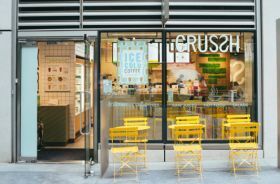 If the majority choose vegan, the pop-up will turn permanent and Crussh will have launched its first entirely vegan store.